Lyon, December 13th, 2017: Elistair, French designer and manufacturer of tethered drone systems for aerial surveillance has signed an agreement with the French Defense procurement Agency for the financing of its AIRWATCH project, under the RAPID program – Dual Innovation Support Scheme. The AIRWATCH project aims at developing a smart « dronebox »: tethered drone for aerial surveillance and telecommunications endowed with an unlimited flight time thanks to its micro-tether providing continuous power from a ground station, and considerably enlarging drones field of applications for defense, private and public safety, or national security. AIRWATCH – a breakthrough innovation for civil and private security actors, aerial surveillance and temporary telecommunications missions. 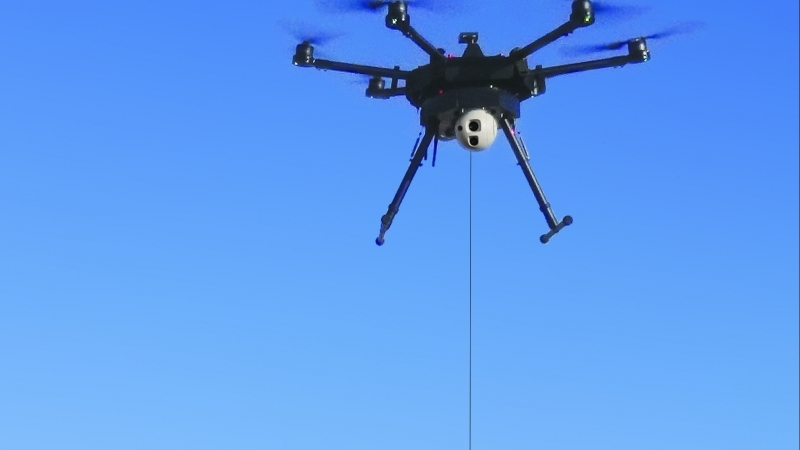 The DGA chose to support Elistair’s last R&D project: developing an integrated and autonomous « dronebox » for surveillance thanks to tethered drones, specifically fitted to meet the most demanding and persistent missions’ requirements. AIRWATCH system provides a full day and night coverage of wide areas for hours. Comparable to a one hundred meters high « virtual mast », the system offers a persistent aerial surveillance support for crisis management, firefighting, major events, video protection, law enforcement, or perimeters security. Permanently reaching for technologic, strategic, and industrial breakthrough, the DGA brings its expertise to the French Armed Forces ministry and conducts armaments operations trials. 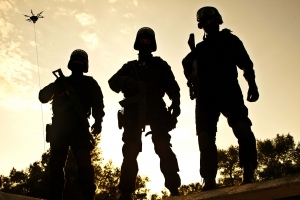 As the first State investor, the DGA’s main objectives consist in equipping Military Forces, preparing their future, as well as supporting the export of armament. Through its RAPID program – Dual innovation support scheme – the DGA supports the most innovative projects with a strong technological potential in the field of industrial research or experimental development for the defense sector. The eligible projects must be conducted by independent SMEs or intermediary companies and offer dual applications for military and civilian markets. 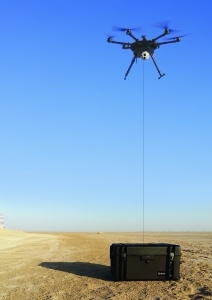 Founded in 2014, Elistair swiftly made a name for itself in the field of aerial surveillance thanks to its tethering systems for drones, considerably improving UAVs autonomy, (so far limited to 20 minutes), data transfer protection between the drone and the monitoring center, and flight perimeters security. Thanks to a patented micro tether technology, the connected drone receives a continuous power supply, providing it with a flight time capacity of several hours, up to 100 meters high. Besides, the micro tether offers a fully secured high speed data transfer and prevents all risks of fly away. With products deployed over 30 countries, and more than 10 000 accumulated flight hours, Elistair quickly became one of the international leaders in the tethered drones sector, and already counts prestigious references in addition to the DGA such as: Thales, The US army, Total, Paris Airports, Securitas, or Engie (French main gaz and electricity provider).